High Cholesterol Symptoms: How Will I Know If I Have High Cholesterol? If you’re curious about cholesterol, you aren’t alone… Though it’s common knowledge that you should keep your cholesterol levels from creeping too high to prevent certain diseases, most people don’t know a ton of details beyond that – including how your diet and lifestyle fall into the equation. Which shakes are best if you’re watching your cholesterol? Why does the type of protein in your shake matter? And how can diet shakes in general help you get a grip on your cholesterol levels? Here’s where things get a little tricky. Your body naturally produces all of the cholesterol you need in your liver. But you can also get it from the foods you eat. This makes it easier to understand how we’re at constant risk for high cholesterol, based on the diet and lifestyle choices we make. Cholesterol travels through your body on small “packages” called lipoproteins. The two subtypes of lipoproteins are called high-density lipoproteins (HDL) and low-density lipoproteins (LDL). Low-Density Lipoproteins (LDL)– Known as the “bad” cholesterol because when you have too much of it in your body, it can build up and create dangerous plaque on the walls of your arteries – over time leading to a higher risk of heart attack or stroke. High-Density Lipoproteins (HDL)– Known as the “good” cholesterol because it actually helps manage the LDL in your body by picking up excess fat in the form of LDL cholesterol and carrying it to the liver. Once there, the organ breaks it down and removes if from your body. You’re more at risk for imbalance and disease in your body when you have more LDL cholesterol than your HDL cholesterol can wipe out. Also worth knowing about is…. Triglycerides– These are another type of fat in the blood that can make a high LDL level even worse, contributing to additional build up on artery walls. Though diet and lifestyle choices play a big role in keeping your cholesterol levels in a healthy range, there are other circumstances in which you may be predisposed to higher levels. Obesity/excess weight– This can lead to higher LDL levels in the blood. Genetically disposed– Especially people with the inherited condition familial hypercholesterolemia can have high LDL levels. Diabetes – Often this disease can lead to low HDL and high triglyceride levels. Liver or kidney disease– If these organs aren’t working properly, it can cause cholesterol to build up in the body. Polycystic ovary syndrome– The disease can cause high levels of triglycerides and low HDL. Pregnancy– With the increased levels of female hormones can come higher blood pressure and cholesterol levels. Underactive thyroid gland– When thyroid hormone levels are low, your body doesn’t break down and remove LDL as well. Drugs that increase LDL and decrease HDL– Includes progestins, anabolic steroids and corticosteroids. Cholesterol– Animal proteins and dairy. Saturated fat– Processed meats, dairy products, baked foods, fried and processed foods. Trans fat– Many fried and processed foods. Foods fortified with Sterols & Stanols (added to food items such as granola bars and chocolate). Making important lifestyle/dietary changes may be all you need to do to lower your cholesterol, though some people may need to take additional measures, and may be prescribed a cholesterol medication. Statins are the leading group of cholesterol-improving drugs today but there are also additional medications that can be prescribed by your doctor. A scary aspect of high cholesterol is there are usually no signs or symptoms! Which is why it’s so important to get your regular physical every year, and additional check-ups if you’re pregnant or have another high-risk factor. Having high cholesterol levels without knowing it becomes more and more dangerous and even deadly as you age (and are at greater risk of a heart attack). But the right meal replacement shake makes all the difference. First, you want to make sure that it doesn’t contain high cholesterol. While plant-based proteins will assist with lowering cholesterol, whey-based proteins will add cholesterol, so it’s helpful to keep track and not go over your limit. 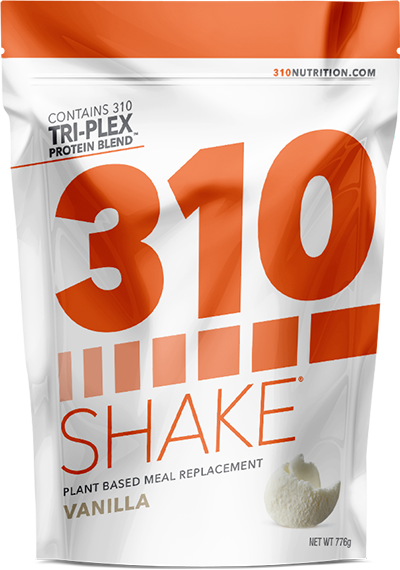 Check out the shake reviews on this site to find the best meal replacement shake for you to help enhance your overall health and manage your cholesterol levels.